Internet is interacting with a computer and information around the world, is that of a huge network. The Internet Protocol used in this huge network is said that ARPAnet (ARPA Network) is a source which is the United States Department of Defense's Network for military research that was created in 1969 during the Cold War.It gradually developed into a network for academic and general research, is the commercial start in the 1990s, it was spread explosively. IP address and TCP / UDP port number, BGP AS number, etc., are administering a unique number on the Internet is in the organization called IANA, if Asia as its sub-organizations APNIC, Japan as a further sub-organizations there are JPNIC.Japan's ISP business is to be assigned an IP address from JPNIC, in the form of reselling it has operated an Internet service. The computer communicating on the Internet must have a IP address that shows the address on the Internet. Network devices that is used in the Internet look up where the destination IP address is , and send the data to the computer which has target IP address. IP address is represented by 32bit,and is divided into four positions with a dot for each 8bit (0 ~ 255 in dicimal), the computer and the router to allocate any suitable value between 0.0.0.0 ~ 255.255.255.255 as IP addresses.  Suitable, as that expression is because it has mixed things that can not be used in common among these range.First, for an overview understanding, please understand that this range is present as an IP address. And, if creating an environment to connect to the Internet, you must not assign IP address as you like, that results in not communicating.As described above, if in Japan and JPNIC is the management of the IP address, that is assigned out from there via the ISP business, finally the IP address for the access to the Internet can be used. Please refer here for details. IP does not necessarily connect to the Internet, for example assign the IP address to the PCs and connect to each other in home, if the IP network is build with router and switch, you can communicate. Examples of communication using IP addresses, consider the PC#1 and PC#2 are placed on a certain IP network,.PC#1 is assigned the IP address 192.168.1.1 and PC#2 is assigned the IP address 200.200.200.200. When I wanted to communicate from the PC#1 to PC#2, PC#1 specifies the IP address of the PC#2 as the communication destination. As the number of IP address is located 4.3 billion or 32 square ≒ of 2, but in fact does not have enough number to connect the terminal in the world.In fact, the situation that the IP address has been depleted is going on now.Originally IP version 4 there was no assumption that connect the terminal in the world, is a big factor is that. For this reason, we were able new protocol called IP version 6 (IPv6).The future, but it is expected to gradually transition from IPv4, it is still likely to take some time before switching to the full. How it will either be implemented IP communications.In terms of the most familiar example is a Web browsing in the Internet. For example, when you look at Yahoo's home page from your own computer, launch the browser, you driving the Yahoo of the IP address (182.22.70.250) to the address bar as shown in the figure below. Server on the Internet is basically have an IP address. Since the Yahoo Web server has an IP address of "182.22.70.250", by specifying the IP address from the browser, you can perform the Web server and the IP communication of Yahoo. Also, usually when you specify the IP address in the browser "http: //" You put the, this is to communicate with the IP address 182.22.70.250 in the protocol of http, it means that. However, when you usually are looking at the Internet, you will probably address bar is shown in the figure below. 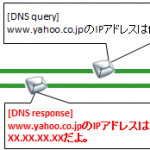 This is, DNS is because you are using a mechanism called.In simple terms, DNS server on the IP network, string www.yahoo.co.jp (FQDN: Fully Qualified Domain Name and is called) the because that is converted to an IP address of 182.22.70.250.